The Pew survey, like the various more specific surveys of the Jewish community that come out from time to time, has told everyone in the Jewish organizational world what they already know. There is nothing in the survey that hasn't been predicted, belabored and denied for decades. If its meaning had to be summed up in a single sentence, it would be that there can be no religion without revelation, no community without culture and no continuity without all of these. It really is that simple which is why so many insist on making it so complicated. What the Pew survey really says is that there are really two Jewish communities in America. One that is an actual structured community and the other uses that name but is a community in name only. Most of the responses go right past that obvious point to arguing about semantics, theology and the number of Jews who can dance on the head of a pin. Daniel Gordis had a passionate and moving piece on the decline of Conservative Judaism that is also fundamentally wrong. Gordis states, "What really doomed the movement is that Conservative Judaism ignored the deep existential human questions that religion is meant to address." That confuses religion with philosophy. Religion does address existential questions, but it does so through faith. The F-word, "Faith" only appears once in Gordis' entire essay. "Non-Orthodox Judaism is simply disappearing in America. Judaism has long been a predominantly content-driven, rather than a faith-driven enterprise, but we now have a generation of Jews secularly successful and well-educated, but so Jewishly illiterate that nothing remains to bind them to their community or even to a sense that they hail from something worth preserving." Gordis hits the point and then drives away as quickly as he can. American Judaism is content-driven, but its content has to be driven by faith or the content has no integrity. "Looming unasked in Conservative circles is the following question: Can one create a community committed to the rigors of Jewish traditional living without a literal (read Orthodox) notion of revelation at its core? Conservative Judaism could have been the movement that made an argument for tradition and distinctiveness without a theological foundation that is for most modern Jews simply implausible," Gordis writes. The Pew survey already answers that question. Religion without revelation has no integrity of content. Without revelation, religion is mere philosophy. If the religion is not of divine origin, then it's merely philosophy. And you don't build a community around concepts only a fraction of its people would be interested in or understand. Religion without revelation is random intellectual inquiry packaged as something more. Without a Divine core, it is reduced to searching for the "divine in all of us". If there is no G-d who spoke to man and conveyed specific words, instructions and ideas, then all that remains is an aimless spirituality that provides no reason for maintaining the specific integrity of a community around it. Gordis' remedy is "deep existential and spiritual seriousness". And no doubt this will appeal to divinity students. But you can't build a religion around that. Not even in a community as literate as those to be found within American Judaism. "Deep existential and spiritual seriousness" is surprisingly boring when you have to actually sit through it. It's not particularly engaging. "While these laypeople were busy seeking a way to explain to their children why marrying another Jew matters, how a home rooted in Jewish ritual was enriching, and why Jewish literacy still mattered in a world in which there were no barriers to Jews' participating in the broader culture, their religious leadership was speaking about whether or not the movement was halakhic or how one could speak of revelation in an era of biblical criticism," Gordis says. But if your laypeople are trying to figure out why these things matter, then your religious stream has already failed. In Orthodox Judaism, most laypeople are not trying to figure out how to explain these things; they take them for granted. It's in the air they breathe and the water they drink. Likewise, they aren't looking for serious existential answers. They absorb them early on and take them on faith. That's between a religion that is so embedded that it's culture and a religion that is swimming upstream against culture. If you dispense with Divine revelation, then all you have left is culture and community. You might be able to build a community around culture. American Jews have done so. But the culture depended on eroding differences. The more those differences eroded, the more American Jewish culture just became the Jewish contribution to America. You don't need to be Jewish to read and appreciate Bernard Malamud, Saul Bellow and all the other big names. You don't need to be Jewish to watch a Neil Simon play. And their contemporaries who appeal to American Jews in their twenties and thirties either tend to be so cynical and toxic that they make Philip Roth seem downright Judeopositive or detached enough that they represent little except echoes of distant memories. No one is going to stay Jewish for Michael Chabon and Jonathan Safran Foer. Despite their tattered drabs of Jewish culture, they're less Jewish than their literary forebears who at least had a direct connection with the culture of the immigrants. And when you've exhausted Jewish-influenced memoir fiction, what's left? YIVO Yiddish revivals? The Klezmatics? Documentaries about Jewish life in the twenties? Jerry Seinfeld? Another revival of Fiddler on the Roof with a more positive take on intermarriage? A Woody Allen retrospective? The public secular Jewish culture of neurotic humor is common property. It doesn't maintain communities. It more often disintegrates them. It's laughing at the abyss by people who no longer remember why the abyss is a bad thing. From a defensive response to pain, Jewish humor has become nihilistic. It no longer remembers the pain it is laughing at and so its laughter has become senseless. Culture is a powerful means of continuity when it is immersive. The Orthodox child doesn't play with Dr. Seuss picture books. She plays with picture books that illustrate the importance of doing good deeds. Instead of being taught nursery rhymes, she's taught to chant Brachot; blessings to thank G-d for the food that she eats. The music she listens to and the cartoons she watches will also teach her religious values. Then she'll graduate to pop music that will consist of biblical verses set to catchy tunes. The Orthodox Jewish music industry is big business. It encompasses most modern music and often casually borrows tunes from popular music (though in all fairness, much of popular music does the same thing) and sets it to religious devotions or sayings. While her secular Jewish counterpart hums a Lady Gaga song, she's humming, "The G-d who created joy and happiness" or "Oh Lord, open my lips so that my mouth may sing your praises." The music may not be all that different. But the ideas are very much so. When she reads? It's less likely to be 50 Shades of Grey because there are Orthodox comics, mystery novels, teenage detectives (of both genders), biographies, historical novels, romance novels, self-help books, novels and the whole variety of alternative literature. I won't claim that this Orthodox popular culture is of a high caliber; but then neither is the popular culture that it's displacing. That's not to say that pop culture doesn't still penetrate Orthodox communities; but it does so to a lesser degree depending on the cultural integrity of the community. Modern Orthodox Jews like me are more likely to be familiar with both worlds. On the other end of the spectrum, Chassidic Jews may even reject the Orthodox pop music as inappropriate, opting for something more classical. Communities also require private languages. Instead of empty Yiddish revivals, in much of the Orthodox Jewish world, a form of Judeo-English has arisen that is the counterpart of the Judeo-German known as Yiddish, the Judeo-Spanish known as Ladino or the Judeo-Aramaic of the Talmud or the Judeo-Arabic that Maimonides wrote in. Derived from the language of scholarship, "Yeshivish" is a jargon full of inside jokes and wry humor referencing the techniques of study and the practices of the religion. It mixes Hebrew and Yiddish to create a new language. The common denominator in all these things, from the religious pop songs, to the novels, which inevitably have religious morals built in, and the language, which is built around religious values, is that they integrate the assumptions of faith into daily life. They make religion into culture. And they make faith into culture. The Orthodox Jew casually says "G-d willing" and "Thank G-d" to everything; inculcating the assumptions of faith into daily life. That used to be a common habit among Jews in Europe. The hypothetical girl may still end up leaving, but she's less likely to do so because she is part of a community with its own culture and values. And even its own language. She's not there for the deep existential seriousness. The seriousness has always been a part of her life. But it's overlaid with a private cultural language that encompasses the everyday communal experience. Faith isn't an external assumption imposed on her everyday life that is foreign to it. Faith is her culture. It's not expressed in high-flown language of sermons, but in the everyday language of her life. 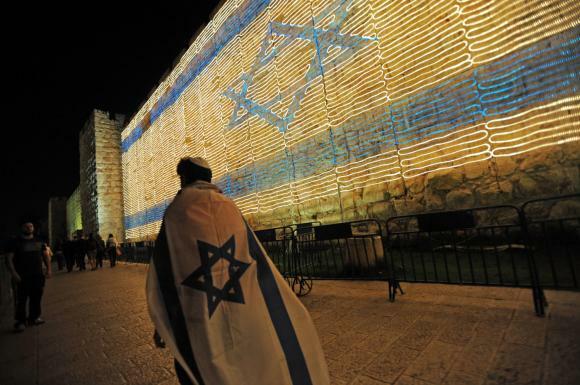 To emerging generations of liberal Jews, their own religion is foreign to them. They have to conquer the instinctive skepticism bred into them by a secular culture to be part of it. Orthodox Jews have to conquer an instinctive skepticism of secular culture to leave. And that's a major difference. Orthodox Judaism in America would have failed all over again, as it did before WW2, without the creation of a cultural community that could speak to young people. Its leaders put the emphasis on the construction of an educational complex, and indeed that is very important, but Modern Orthodoxy shows that an educational system that doesn't permeate into the home environment is more fragile. And these solutions are not unique. Evangelical Christianity has its own set of songs, novels and cartoons with the same goal; the maintenance of an immersive moral culture that makes a religious community viable in a secular culture. Any liberal streams of Judaism that reject the premise that a community is maintained through an exclusive culture and that religion is built on faith in revelation cannot survive. And they can't duplicate Orthodox Judaism's success without adopting those assumptions. Liberal Judaism discarded the idea that Jews were a race. Then discarded the idea that Judaism represented a unique Divine revelation. Then discarded communal exclusivity and integrity. With those three things thrown away; what possible basis for continuity can there be? If Jews are not part of a single family, as the Bible specifies, and only a religion, then why not intermarry as long as the other partner adopts the religion or works out some joint arrangement? 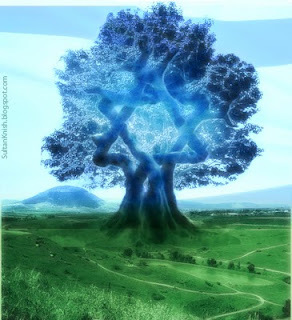 If Judaism does not possess an exclusive revelation from G-d, then why stick with it because of an accident of birth into a people that is nothing more than a cultural community? And if Jewish culture consists of novels that anyone can take out at the library, Woody Allen movies eating Chinese food on Christmas, questioning things and talking a lot with your hands; why bother maintaining a culture that anyone can be a part of and that, therefore, no one needs to be a part of? The racial, religious and communal reasons for maintaining the Jewish people are interwoven. You can't discard one without toppling the whole thing. And if you discard all three, then you certainly aren't going to keep it going with a copy of the The Yiddish Policemen's Union and an interfaith Passover seder with passages commemorating civil rights and LGBT liberation. The liberalizing fallacy has been that each generation could make concessions to modernism by discarding some things that "no modern person takes seriously anyway" while assuming that the next generation would want to keep the things that they kept, instead of throwing away more things to adapt to a modernity that was continually becoming more hostile to traditional religious values. Eventually throwing things away became Liberal Judaism. And that Judaism became the nothingness it sought to be. The liberal impulse made that Judaism into liberalism, its synagogues into community activist groups and its theology into social justice. Its Rabbis excelled at the language of moral seriousness; but like all Western liberal clergy they had nothing to be morally serious about. "As Conservative writers and rabbis addressed questions such as 'are we halakhic,' 'how are we halakhic,' and 'should we be halakhic,' most of the women and men in the pews responded with an uninterested shrug. They were not in shul, for the most part, out of a sense of legally binding obligation. Had that been what they were seeking, they would have been in Orthodox synagogues. They had come to worship because they wanted a connection to their people, to transcendence, to a collective Jewish memory that would give them cause for rejoicing and reason for weeping, and they wanted help in transmitting that to their children," Gordis writes. No doubt they did indeed want those things. But you can't have those things without binding obligations. Connections come from binding obligations, not casual ones. To cry and be happy, you need an emotional connection that is more than just an event of convenience. Peoplehood, like marriage, must be forever if it is to mean anything at all. People who casually want deep spiritual experiences and community will never find them without making permanent commitments. 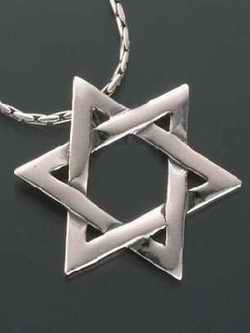 Judaism is a commitment of faith. It is a religious civilization upheld by an ancient family that builds its phantom kingdoms of faith in every place of its wanderings and then packs them up again into its invisible knapsack of faith. That is its culture and its meaning. The Jew exists because of faith. Without faith, there are no Jews. Without faith, there are only archeologists of Judaism poring through the ruins and bones of what used to be a religion and wondering how they can make it live again. Without faith, culture and community have no meaning. Without integrity of culture and community, faith has no means of maintaining its expression. And so faith answers its own question. That is the essential humility that is the true character of the prophet. Liberal streams of Judaism claim to focus on prophetic value of social justice. But the calls of the prophets for justice did not come from them. They came from G-d. In their natural state they were humble men, like Moses, who did not strive to impose their will on others, but waited to hear what G-d would tell them to do. That humility of action is faith. And without that humility, there is no room for faith or G-d.
today is no longer between Reform and Orthodox, but between a world with G-d and a world without G-d. How, then can the destinies of home and communities, the guardianship of souls and the future of humanity be entrusted to men who, in a time when the foundations of morality are shaken and the peace of the world quivers under the fierce contest of ideas, lack power and principle, wavering and oscillating between agnosticism and belief, between Judaism and Unitarianism and a dozen other isms?" Having said all that, Kohler then went on to argue that Judaism was just the shell for a kernel of ethical and moral truth and that the essence of religion was social justice. But one does not need religion to propound social justice. That is something that Kohler's successors know, but are unable to do anything about because their religion is the common modern secular faith of political activism. There is no prophetic vision without G-d. The prophetic vision of movements that have abandoned G-d is nothing but men who have made themselves into gods, prophesying their own prophecies. Kohler indicted Orthodox Jews for failing to "impart life to the dry bones of Judaism". But life comes from faith. That is the essence of the Ezekiel prophecy that Kohler went right past in the search for prophetic social justice. The issue is still between a world with G-d and a world without Him. The Pew survey makes it clear that the future of the Jewish community belongs to those who build communities based on a world with G-d whose leaders and people don't waver in their beliefs. The Judaism of those who trade the birthright of faith for the pottage of social justice has no future. Judaism is not the kernel for a handful of ethical concepts. Its ethical concepts are part of it just as its community, its religion, its culture and its people must be one organic entity.